I’ve decided to write a little bit on nutrition and how our bodies take in the garbage we feed it. I’ll devote one section to each macronutrient and then bring it all together at the end. First I want to explain that all of the information below is based on different books, articles, podcasts etc that I have consumed. So many choices – if you google diet you will quickly become overwhelmed. There are some many ideas out there, any most of them all contradict each other. I decided to take a different approach to overall wellness. I read a book that totally changed my perspective, and it did it in a way that for me was completely unexpected. That book is called Good Calories, Bad Calories by Gary Taubes. Remember sitting in a health or nutrition class in college? Do you remember reading or listening to the instructor talk about how nutrients are absorbed into the body? I remember hearing about insulin and blood glucose, about leptin and ghrelin, carbohydrates, protein and fat. The different pathways that exist to digest and absorb the nutrients that we ingest. And then all of that went out the window when it comes to the foods we should actually put into our body. According to the New Hampshire Department of Health and Human Services, today, the average American eats 152 POUNDS of sugar a year. Full stop. That is basically 6 ounces of sugar daily, ON AVERAGE. Holy crap. Compare that to pre modern era where the average American ate 3 pounds of sugar a year. That is an enormous change over maybe 200 years. Not saying sugar is the cause of all bad things in the world, but wow, that has to affect some things. But before I go any further let me take a step back to health class. We learned about how our body stores fat and why. For a quick refresher, (almost) every carbohydrate is digested and turned into glucose in the blood via a few different enzymatic processes mostly occurring in the intestines. The only exception to this is the carbohydrate fructose which is broken down in the liver. With the exception of fructose all other carbohydrates are primarily absorbed in the small intestines and are immediately available to the body in the form of glucose. The liver also plays a large role in synthesizing glucose into glycogen. When there is more glucose in the blood than what is currently needed, the body releases the hormone insulin which triggers certain cells to absorb the excess glucose and store it for later. When glycogen is in excess in the blood the body signals the liver to package it up as fatty acids. Fatty acids are then stored in adipose tissue thus making Americans giant fat asses. Ok that last paragraph is pretty complicated – you might want to read it again – or the cliff notes version: eat more carbohydrates than your body needs – body turns them into fat. Remember that hormone insulin that likes to keep our blood sugar at a nice even level? You know what else it does? It keeps the fatty acids INSIDE our adipose tissues. Think of it this way if we have enough insulin present in our bodies in order to store carbohydrates, then that same biochemical process makes it impossible for our bodies to free the fatty acids from the adipose tissues and convert them back into a useable energy source. So what are Carbohydrates? 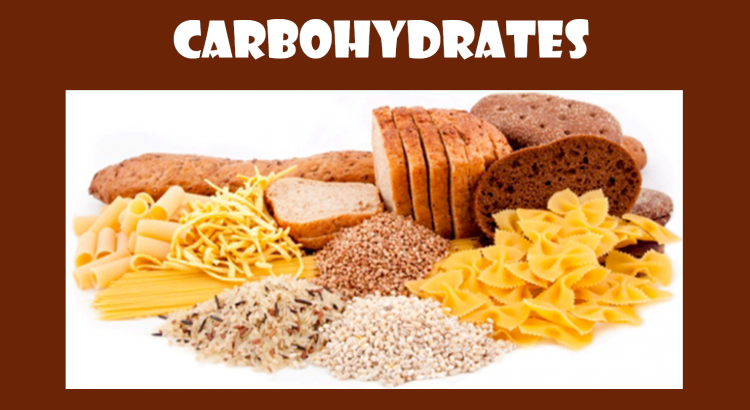 What are good carbohydrates? What are bad Carbohydrates? All carbs are is a category of macronutrient that is absorbed and can be utilized by our body for energy. There really aren’t any good or bad carbs per se, but since they all have a direct influence on our blood glucose levels the best way to look at them is fast acting ™ and long lasting ™. Think of fast acting like your simple carbs – flour, bread, sweet tasting items, and your long lasting complex carbs, whole wheat, quinoa, potatoes etc. Fast acting spikes your blood glucose quickly after eating, and long lasting gives you a boost in blood glucose for an extended duration. Bottom line is that if your blood glucose is elevated, your body is storing fat not releasing it. I should also point out here that your liver has about 10-12 hours of glycogen storage in it, so if you aren’t eating you will be completely the same until your liver glycogen stores deplete. Don’t worry the depletion if your liver’s glycogen storage isn’t a bad thing, once your liver runs out your body needs to find energy from somewhere, and the easiest place at that point is to release the fatty acids from the adipose tissue and convert them into useable energy. But you have heard I’m sure about your body cannibalizing your muscles right? It’s kinda right. There is a small storage of glycogen within your muscles which will be taken, however breaking down muscle tissue is not a preferred source of energy for the body because to break down a protein into usable energy is not a quick or efficient process. There are many other examples of how excessive blood glucose(therefore excessive insulin levels) affects other processes in the body. I won’t go into it in detail here but there are links being studies between high blood glucose and the rate in which cancerous cells grow, etc. Carbs are not the enemy, they are a vital macronutrient that our body uses for energy. However we must understand the role this macronutrient plays in the gaining and losing of weight and maintaining overall wellness. Next read Part 2 of our series – The Protein.